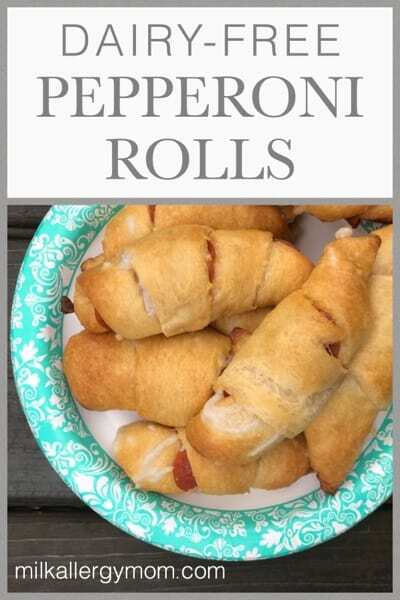 Hey friend, we are making these dairy-free Pepperoni Rolls for the Super Bowl. And they couldn’t be easier! 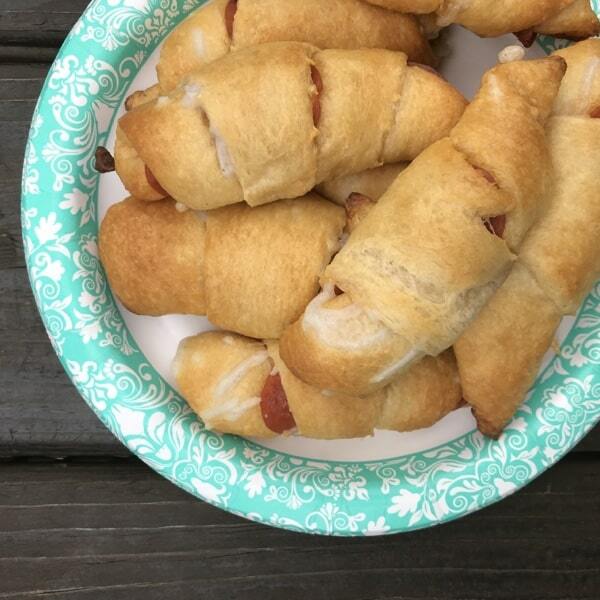 First, start with dairy-free canned crescent rolls. We use Pillsbury but always check labels for yourself! 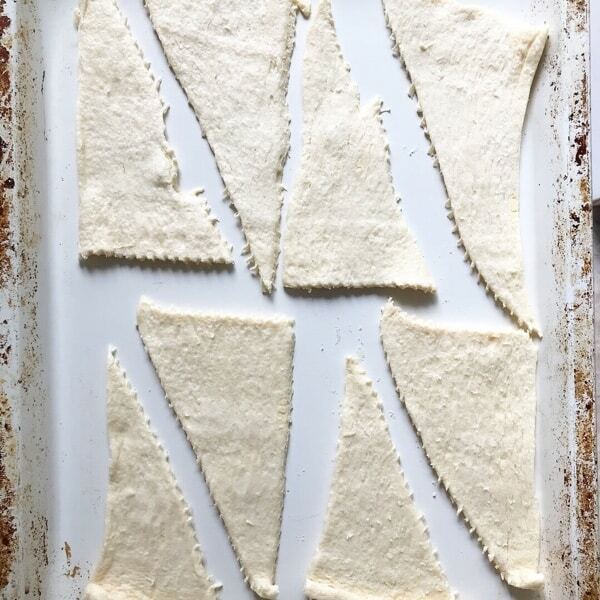 Unroll them out flat on a baking sheet. 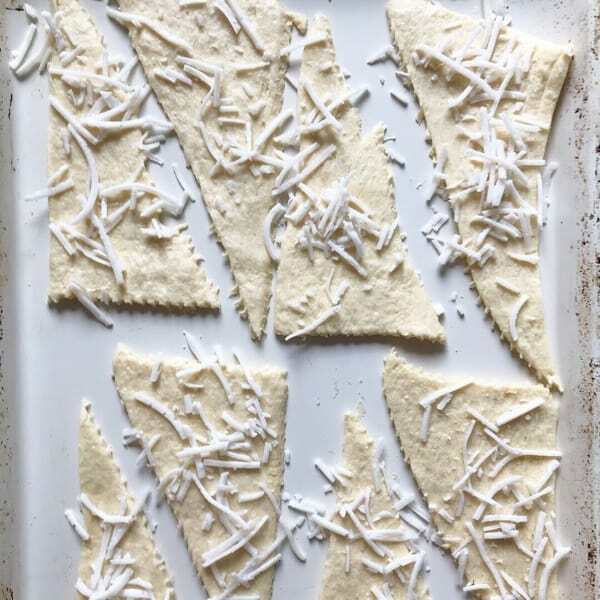 Then top the flat dough MODERATELY with your favorite dairy-free shredded cheese. If you’re like me, there’s such thing as too much dairy-free cheese. Here shows how much we use. PS: We use this “moderate cheese” rule with homemade dairy-free pizza, too. Tastes better to us. 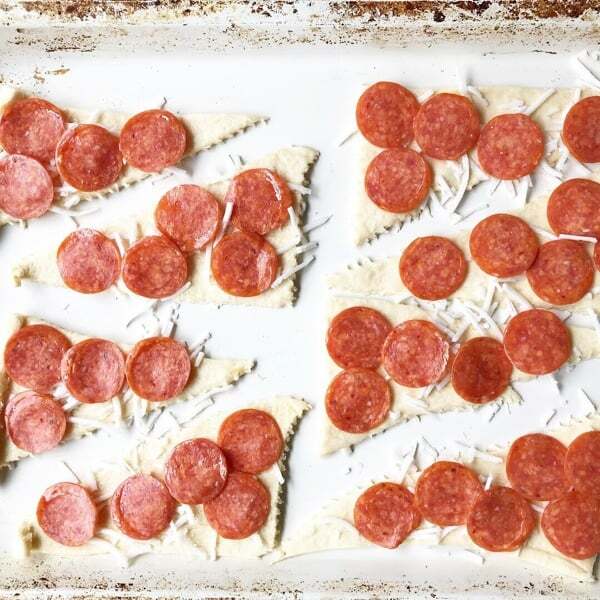 Next, top the cheese with your favorite dairy-free Pepperoni. For us, that’s Applegate. Check labels for yourself, as ingredients can change! 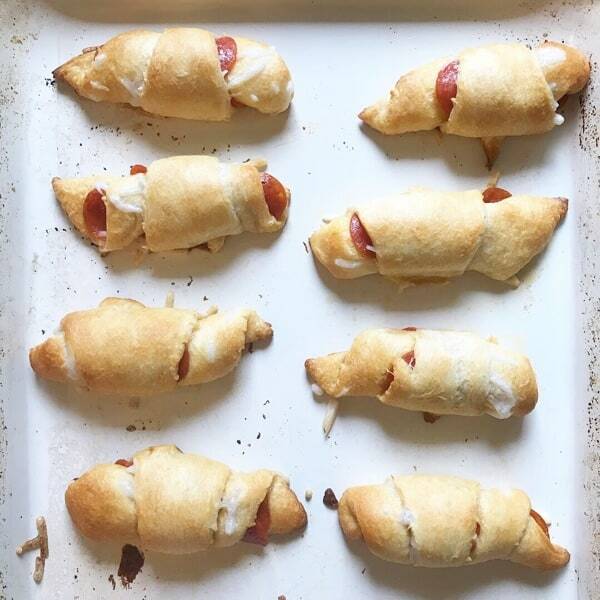 Roll them up and bake according to the instructions on your crescent roll package. When you do, they come out golden brown and delicious like this! Here’s a quick video tutorial, too! Hope you can enjoy dairy-free Pepperoni Rolls! Your fam will love you!